According to Mothers Against Drunk Driving, 1,438 people died in drunk driving accidents in Texas in 2016. 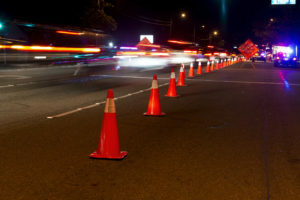 In an effort to reduce the number of drunk driving deaths and injuries in Texas, the state has implemented some strict anti-drunk driving measures. Drivers automatically consent to be subjected to blood or alcohol tests when they get behind the wheel. This means that if an officer has probable cause to believe that a driver may have been drinking and driving in Texas, drivers could be required to take a breath test and could face penalties if they refuse. While you do have the right to refuse to take a breath or blood test, your refusal to submit to these tests can result in automatic license suspension of 180 days if this is your first refusal. If this is your second offense, you could face a license suspension up to 2 years. If you are stopped under the suspicion of a DUI in McAllen, Texas, you’ll need to make a decision about whether to submit to a breath or blood test. However, officers generally are granted immense powers when it comes to gathering evidence regarding driving while intoxicated and your refusal could also be used against you in court as a sign of your guilt. If you are facing DWI or DUI charges or have been arrested for Driving While Intoxicated or Driving Under the Influence in McAllen, Texas, you may want to speak to a qualified DUI lawyer like the Tijerina Law Firm, P.C. The Tijerina Law Firm, P.C. can review the evidence against you, help you understand your rights and obligations under the law, and help you reach the best possible outcome for your case. 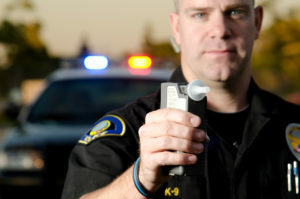 Much is at stake if you are being charged with a DUI. You could lose your driving privileges, you could end up with a criminal record, and you could also suffer from collateral consequences as a result of your DUI charges. Contact the Tijerina Law Firm, P.C. today to protect your rights. If you are facing charges for Driving While Intoxicated, it is likely that you have been charged with a DWI in Texas, not a DUI. However, because many people confuse the two terms, we will focus here on penalties for DWI. What differentiates a DWI from a DUI in Texas? In general, it comes down to your age. If you are under 21 years of age, you will likely be charged with a DUI. If you are under 21 years of age, in Texas it is illegal to drive with any alcohol at all in your system. If a person who is 21 years of age or under is found to have a BAC of 0.08 or greater, they could still be charged with a DWI. However, if the person’s BAC is below 0.08 and they are under 21 years of age, they will still face penalties. If you are under 21 and are facing DUI charges, it is important to take these charges very seriously. You could end up with a criminal record, may need to attend alcohol classes, may be required to perform community service hours, could face a driver’s license suspension, and could face a fine. It is very serious to have a DUI on your record at such a young age. If you are facing these charges, reach out to a qualified DUI lawyer like the Tijerina Law Firm, P.C. in McAllen, Texas. Individuals can be charged with Driving Under the Influence in Texas if a minor is found to have any detectable amount of alcohol in their system. It is important to take a DUI charge seriously. The Tijerina Law Firm, P.C. is a DUI lawyer in McAllen, Texas who can review the charges against you, and who can help you navigate the legal system. In some cases, a qualified DUI lawyer can help you get your charges reduced or work with the courts to place you in diversion programs rather than face jail time or other penalties. It is important to understand that you are innocent until proven guilty. Police officers must have probable cause to stop you and must read you your rights if you are under arrest. Failure to properly handle evidence could also have an impact on your case. If you are facing DUI charges, you need a DUI lawyer on your side who can review your case, help you navigate the legal system, and fight to help you get the best possible outcome. The Tijerina Law Firm is a DUI lawyer in McAllen, Texas who may be able to help. If you are pulled over for a DUI in McAllen, Texas, you should pull over in a place where it is safe to do so. Be aware that you may be on camera when the officer comes to speak to you, so be sure to turn off your engine, roll down your window, and turn off your music. You’ll need to provide the officer with your name, driver’s license, and insurance information. However, it is important to remember that you do not have to answer any incriminating questions. If the officer asks you how much you have had to drink or whether you were at a bar, you have the right to tell the officer that you would like to exercise your right to remain silent and would need to have your attorney present to answer any questions. Be polite, but remember that anything you do say to police can be used against you in court. You have the right to refuse to submit to a breath test and have the right to refuse to submit to a field sobriety test. However, refusal to do so could lead to your arrest. As soon as you can, you will want to contact a qualified lawyer who can assist you. If you are put under the arrest, remember to assert your right to remain silent and ask to speak to your lawyer. The Tijerina Law Firm is a DUI law firm in McAllen, Texas who may be able to help you.